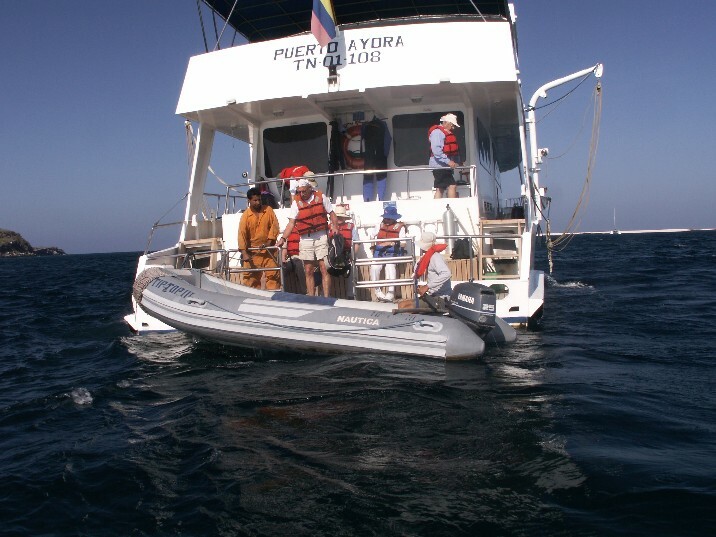 Photos of our vessel "Tip Top III", in Galapagos Islands. Barry into panga above for our first hike at North Seymour. We boarded the Tip Top III by "panga", their name for Zodiac or inflatable motor boat.